This post marks 130 straight days with a new educational blog post. With so many folks getting in the habit of using our B&H and Amazon links why quit now? To show your appreciation for my efforts here, we do ask that you use our the B&H and Amazon affiliate links on the right side of the blog for all of your purchases. Please check the availability of all photographic accessories in the BIRDS AS ART Online Store. We sell only what I use and depend on. We will not sell you junk. We know what you need to make creating great images easy and fun. And we are always glad to answer your gear questions via e-mail. No need. Check out the wonderful video from Gustafson Photo Safaris here and Todd’s amazing image galleries here. 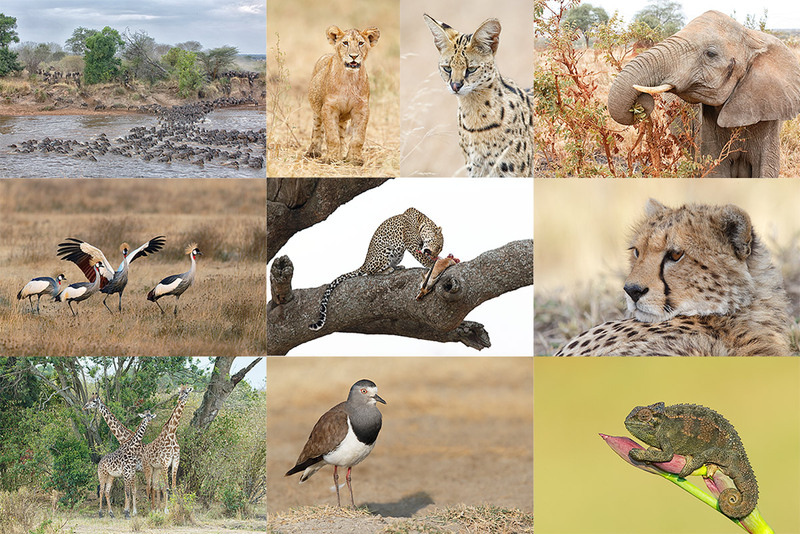 You will find details on this summer’s Tanzania Photo Safari below. This image was created at Gatorland on Saturday April 5, 2014 at 4:38pm on a clear afternoon in direct sunlight. I hand held the Canon EF 200-400mm f/4L IS USM Lens with Internal 1.4x Extender (with the internal TC engaged at 490mm) and the Canon EOS-1D X. ISO 400. Evaluative metering +1/3 stop as framed: 1/1600 sec. at f/6.3 in Avmode. AWB. I have been asking lots of questions lately, and many folks have put their thinking caps on and left comments with their answers. There have been lots of right answers and lots of wrong answers. Some wrong answers however were perfect for another question :). Here we will take an in-depth look at the questions from yesterday’s post. Enjoy the learning. Note: I have responded to each comment in yesterday’s post here. When presented with a new situation, as I was when creating the image above (having just arrived and grabbed my 2-4), I will most often go to Av mode. Having studied exposure for close to 3 decades now, I can usually set the exposure compensation to within 1/3 stop of perfect. Here I nailed it at +1/3. Once I knew the right exposure for the Wood Stork, 1/1600 sec. at f/6.3, I set that exposure manually. In effect, I had worked in Av mode to do my exposure check. Here’s the best news: you too can learn to determine the right exposure compensation with just a glance, to see and understand the light, to understand what your camera’s meter is doing, and to understand the influence of the various tonalities, be they black or white, light or dark, on the metering system. How? Study the chapter on Exposure in the original, soft cover, The Art of Bird Photography (ABP), especially the section on exposure theory. And once you have mastered that, study the Exposure Simplified section in The Art of Bird Photography II (ABP II: 916 pages, 900+ images). You can save $10 by ordering the two-book bundle here. There were lots of misconceptions when folks attempted to answer this one. When you are working in Manual mode the shutter speed and the aperture together determine the exposure. The exposure compensation is the result not the cause. When you are working in an automatic mode like Av or Tv the EC is the cause. With image 1 the exposure was 1/1600 sec. at f/6.3. In image #2 the exposure was 1/2000 sec. at f/6.3, 1/3 stop darker. The difference in the exposure compensations for the 2 images was the result of the differences in subject size, framing, and the amount of dark background. So why did I go 1/3 stop darker (1/2000 sec. at f/6.3 is 1/3 stop darker than 1/1600 sec. at f/6.3) for image #2? Because the WHITEs on a Great Egret are brighter than the WHITEs on a Wood Stork. Knowing that, I made one image with the two birds in the frame, checked the histogram, saw the blinkies on the Great Egret, and spun the finger wheel dial 1/3 stop clockwise to increase the shutter speed from 1/1600 sec. to 1/2000 sec. Though Doug West hinted at the right answer Eve Turek and John Beasely got this one right: stopping down would have sharpened up the back of the stork’s neck. Several folks got this one right but John Beasley said it best: “Oops. Question 5 – the neck is sharper because the subject was further away from your camera so your DOF is greater?” Only a wrong word kept him away from perfection. He should have used “farther” as he was referring to distance. Further refers to advancing a thought or idea. 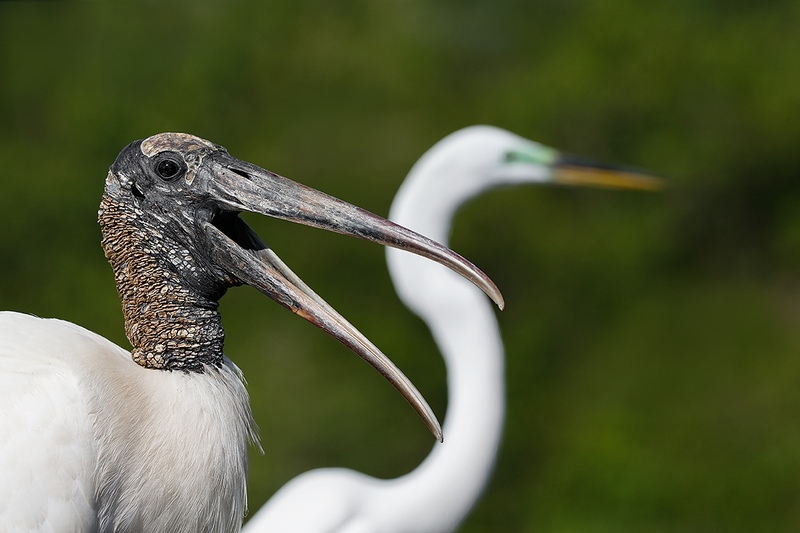 This image was also created at Gatorland on Saturday April 5, 2014, this one–of the same bird, at 4:39pm, about one minute after I created the opening image in this blog post. Again, on a clear afternoon in direct sunlight. And again I hand held the Canon EF 200-400mm f/4L IS USM Lens with Internal 1.4x Extender (at 250mm) and the Canon EOS-1D X. ISO 400. Evaluative metering -1/3 stop as framed: 1/2000 sec. at f/6.3 in Manual mode. AWB. I like both images equally. Had the Great Egret had its head square to the back of the camera in the second image, it would have been my favorite by far. If you are confused by anything that I wrote above, do let me know by leaving a comment below and I will try to help. After I publish this at about 11:15am, I will address the many comments left at the original post here. Now is about your last chance to join me for the 2014 Tanzania Summer Safari! Leader: Arthur Morris. Three photographers/van; you get your own row of seats. Our trip is a bit more expensive than the average safari for good reason. It is the best. We have the best driver guides with a total of decades of experience. They have been trained over the years by Todd and by me to drive with photography in mind. We stay in the best lodges and camps. We hope that you will join me for my 8th 35th African photo safari. My comment is not related to this post but to the National Wildlife Federation Field Guide to BIRDS of North America, my first go to book for bird identification. Today while researching a Gull I ran across the name Arthur Morris numerous times in the photo credits. Thank You Arthur for your service to the birding community and photography community! I appreciate all your hard work in preparing these blogs – so a big thank you. But the answers here had me scratching! Image #1 was at +1/3 and image #2 was at -1/3, a difference of 2/3 although you have changed the speed by only 1/3 of a stop. Am I missing something or is this voodoo magic or what? #1: what was the exposure of the 1st image? #2: what was the exposure for the 2nd image? Which is 1/3 stop less light. It’s the next bit that I don’t get – but I’m thinking that your description “Evaluative metering -1/3 stop as framed” is just the meter reading on the changed light situation – white highlights against mid tone greens – which should be good. Once you have set the exposure, the compensation as shown on the analog exposure scale in the viewfinder, is the result of the ISO, the exposure you have set as determined by the shutter speed and aperture, and the combination of tones in the image…. Couple of “ah ha” tips in this one Artie. Question #5 never occurred to me, but now that you mention it, it makes perfect sense. Great way to get our grey brain cells working. Interesting question; let me try an answer. First, the eye isn’t centered horizontally, it’s a bit to the right of center. Second, if you moved the whole image to the right you’d be too tight on the bird’s neck, if you didn’t actually crop it, so it’s hard for me at least to see how the composition could be improved. Artie, I hope you don’t mind my jumping in; I know you’ll correct my errors. I’m still trying to learn. 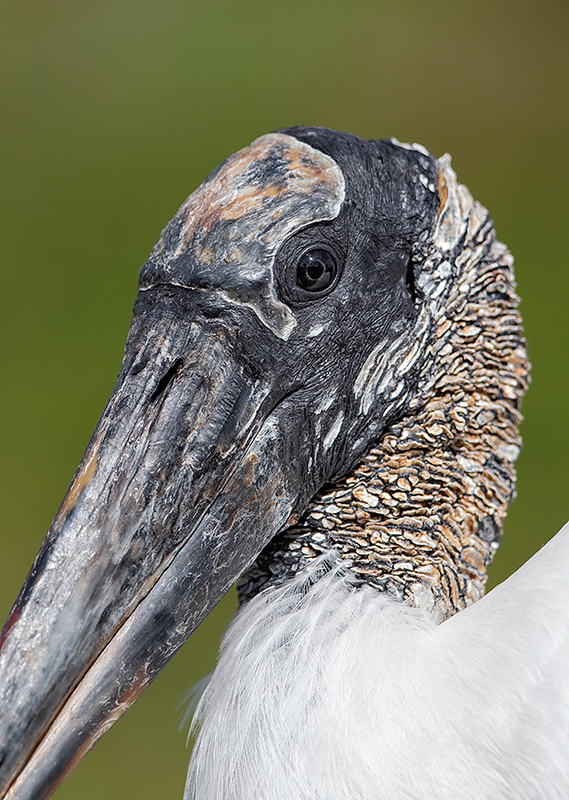 Why is your Wood Stork head portrait so centered? From what I have read about composition, I would have thought that you would have moved the head more to the right so that the eye would have been intersected by both horizontal and vertical rule of thirds lines. Hi Marvin, The subject is much more complex than you make it. Here, if I put the bird’s eye in a rule of thirds spot, I would have cut off the back of its head and that would not have worked for me. With many verticals where the bird fills half to 3/4 of the frame, dead center is just fine…. See the Designing the Image chapter in ABP and the section on Advanced Composition and Image Design in ABP II. Save $10 when you buy the two book combo.